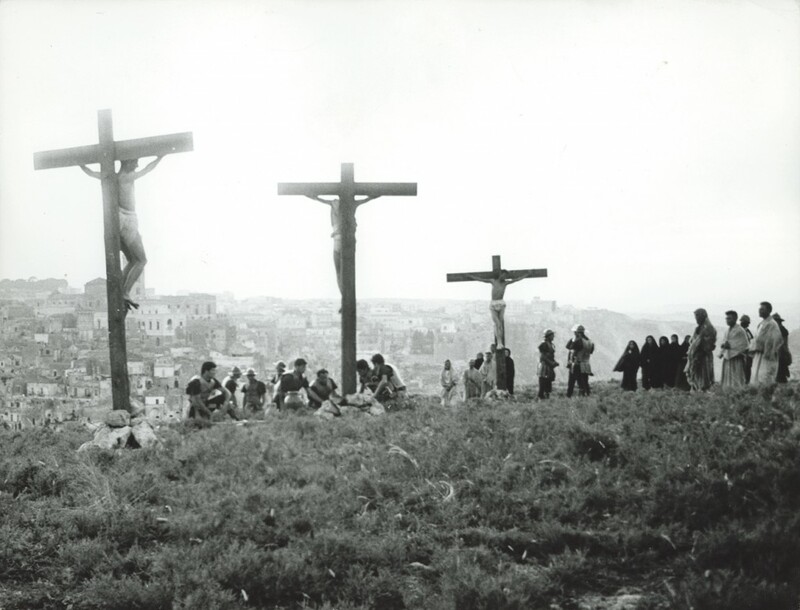 Deciding that “John was too mystical, Mark too vulgar, and Luke too sentimental”, Pasolini’s decision to film the life of Christ as recounted by Matthew (the director pointedly avoided referring to him as a saint) came as a surprise; after all, he was an atheist who had in the past received a jail sentence for blasphemy. 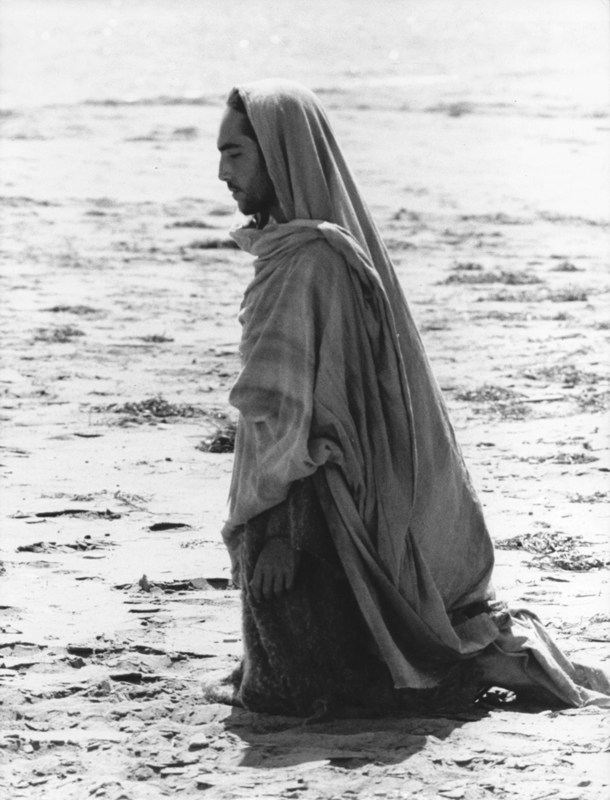 However, his reverential treatment, dedicated to Pope John XXIII, was recently praised by the Vatican as “the best film about Jesus ever made in the history of cinema”. 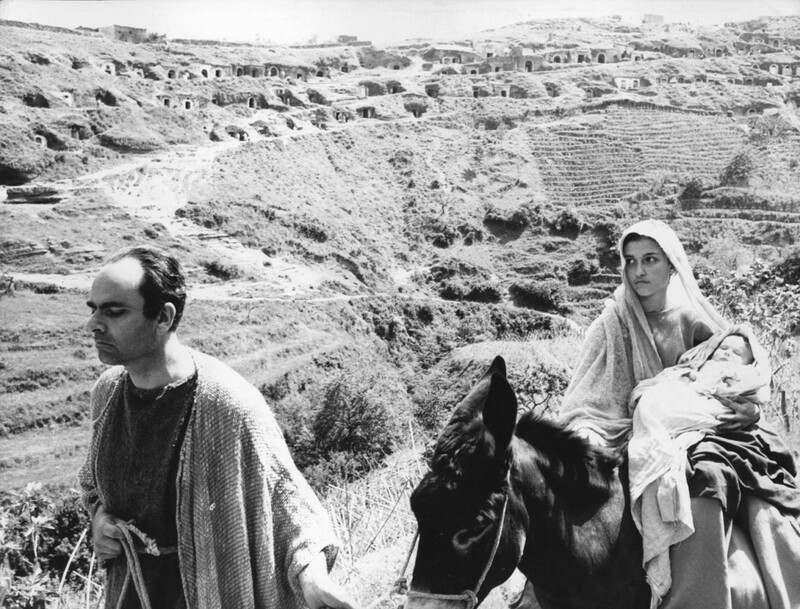 Using dialogue drawn directly from Matthew, Pasolini employed neorealist techniques and non-professional actors, including economics student Enrique Irazoqui as Jesus, and his own mother as Mary. Pasolini’s more personal interest in the story is evident in his portrayal of Jesus as a political revolutionary and his use of an anachronistic soundtrack including sacred music from different world faiths.